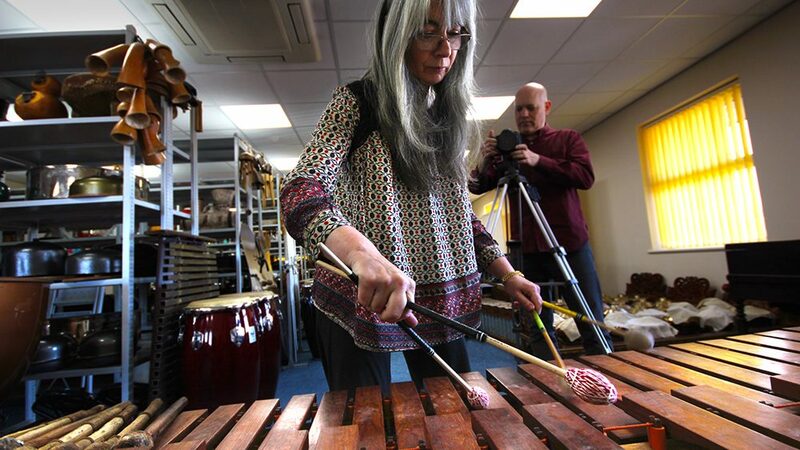 Having become the first musician to ever achieve world respected solo-percussionist status, awarded an OBE in 1993 and then made a Dame in 2007, where do you start a blog entry with Dame Evelyn, apart from saying it’s an absolute honour to have her as part of Orchestra of Samples! 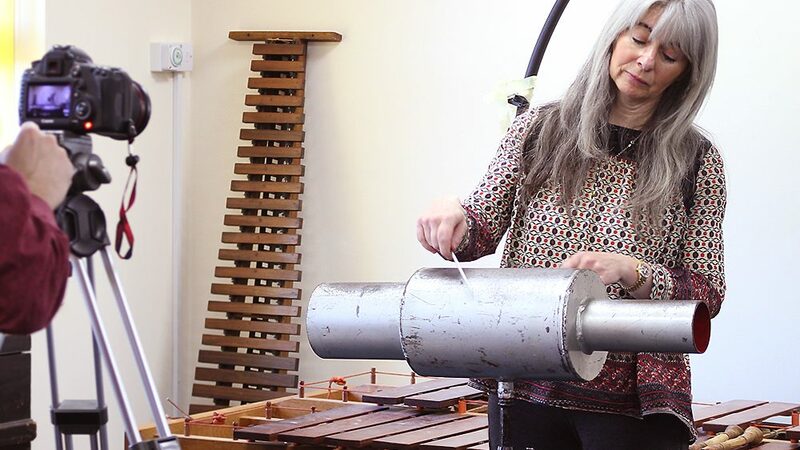 She was born in Aberdeenshire, Scotland, and the first instruments she learned to play were the clarinet, mouth organ and piano but sadly she began to loose her hearing aged 8 and has been profoundly deaf since the age of 12, the age she was first introduced to percussion by a school friend. 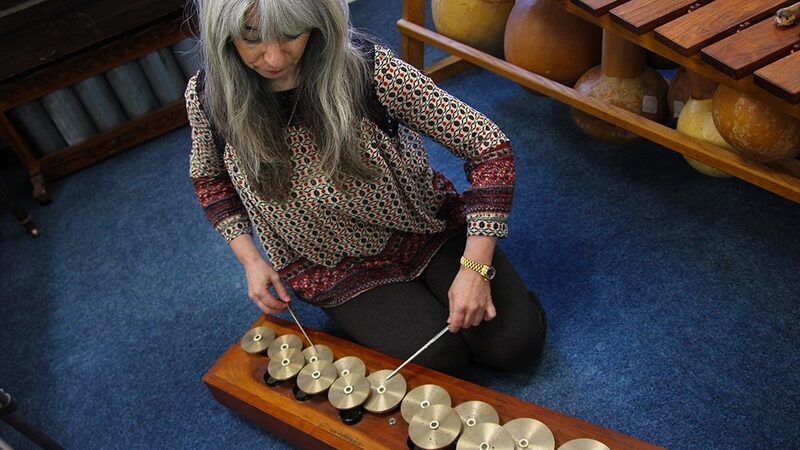 Undeterred, the young Evelyn continued to play music and found she could perceive notes by the level of the reverberations she could feel in her hands, wrists, lower body and feet. 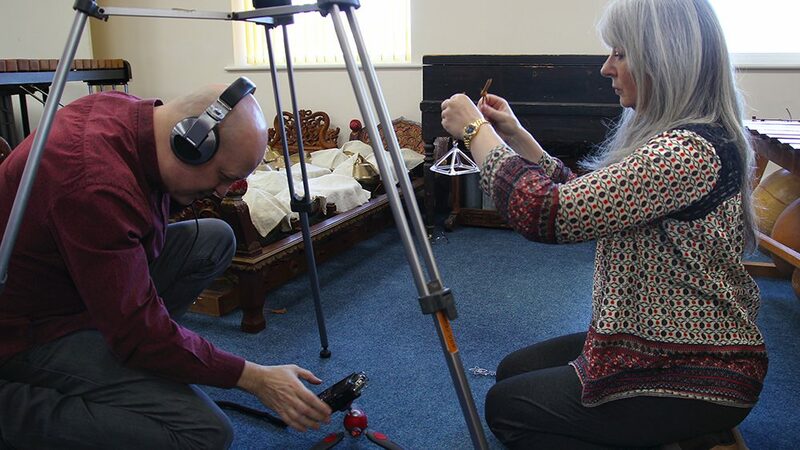 Even now she regularly plays barefoot during both live performances and studio recordings to feel the music better. Further determination came to the fore when at 15 the prestigious Royal Academy of Music wouldn’t accept her because of her hearing-impairment but she insisted on being judged on musical capability alone and incredibly convinced the Royal Academy to accept her application – she graduated with honours in 1985. Evelyn feels that deafness is largely misunderstood by the public and often inaccurately dealt with by the media, here in this 2003 TED talk How To Truly Listen, she speaks about how she ‘feels music’ in different parts of her body. Selected as one of the two laureates for the 2015 Polar Music Prize, Evelyn has now collected nearly 100 international awards, including two GRAMMYs! 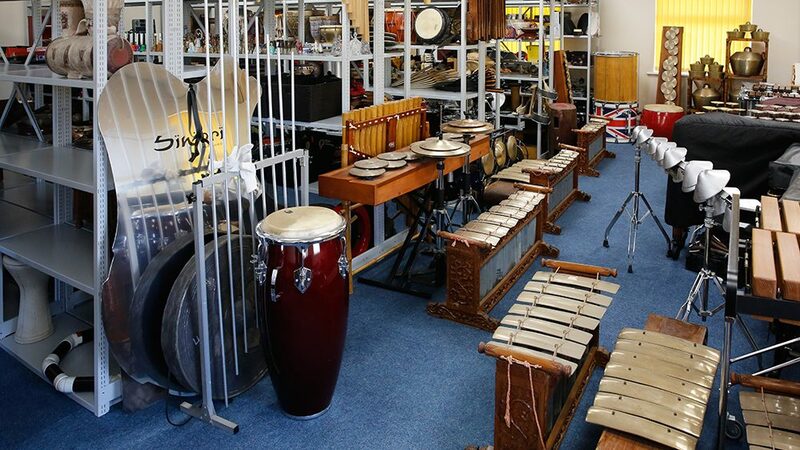 She’s personally mastered more than 1000 traditional and unconventional percussion instruments from around the world and now has an almost museum-like private collection of over 2000 global instruments – many of which you can see in our photos. As well as having collaborated with a range of musical luminaries such as those above and many more, she’s performed with every major orchestra in Europe and the United States and her solo CD releases now total more than 40! 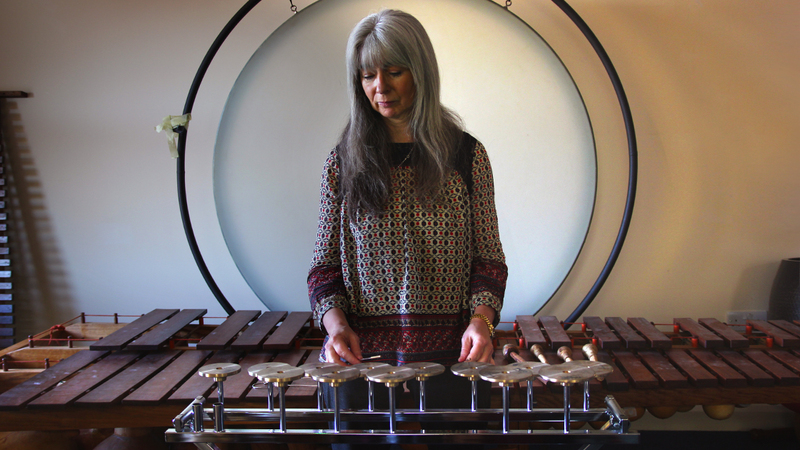 Dame Evelyn performed with us last summer on Orchestra of Samples at the Milton Keynes International Festival, an amazing night – photos here – so it seemed only fitting for us to set-up a recording session at her place and video some wonderful Dame Evelyn Glennie percussion samples to add to the project!